Every project that we partner with you on follows the same three-phase process. 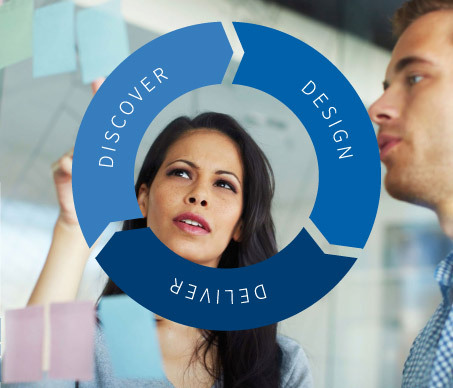 Discover, Design and Deliver. Whilst this process may look simple, it allows us to ensure our delivery of every project goes to plan. In our experience, good planning leads to a successful outcome. Take your business communication solutions to the next level.